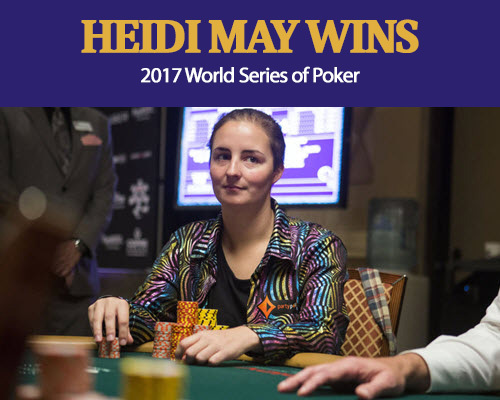 Heidi May, Australian poker pro, had an amazing victory from a field of 718 entries to win the 2017 World Series of Poker $1,000 no-limit hold’em ladies event. The 24-year-old from the Tasmanian city of Hobart earned her first WSOP gold bracelet and the top prize of $135,098 for this victory. May outlasted 717 entrants and defeated Deborah Worley-Roberts, a popular tournament regular in Great Britain, during heads-up play. This was May’s largest live tournament cash for a good margin. 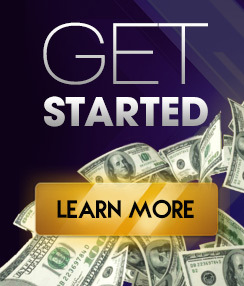 It was not a surprise as May is primarily a cash game player in her native Australia. Her previous top tournament score was for $18,714 and came when she finished 617 in last year’s WSOP main event. She entered the third and final day of this event as the chip leader with five remaining players. Deborah Worley-Roberts, UK, had a strong startby winning a key pot against May holding pocket aces to take the lead. She then knocked out Julie Dang in fourth place ($40,843) to increase further her lead. May was the chip leader with five players remaining when the final table resumed Sunday, but saw the gregarious Worley-Roberts, a native of California who resides in England, push most of the action. May was able to recover when her hand outkicked Worley-Roberts’. May then positioned even better by eliminating Jana De La Cerra in third place ($57,930) to take a 5-to-2 advantage into heads-up play. By the time the final hand arose, May was able to extend her lead to roughly a 6-to-1 advantage. With blinds were of 12,000 – 24,000 and an ante of 4,000, Worley-Roberts moved all-in for around half of a million dollars in chips. Worley-Roberts earned $83,459 for her second-place finish, by far the largest cash of her career. The winnings for the first five in this final table were of $135,098 (Heidi May), $83,459 (Deborah Worley-Roberts), $57,930 (Jana De La Cerra), $40,843 (Julie Dang), and $29,256 (Katherine Ansorge). May is the second female from Australia to win a WSOP bracelet, joining Jackie Glazer.